The film Flooded McDonald’s poses questions about consumer culture and the fast food industry. 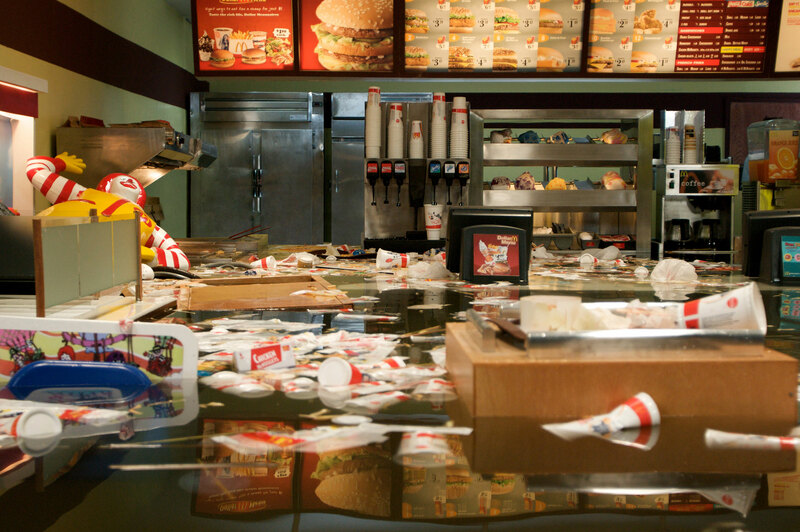 Flooded McDonald’s is the second film by the artist collective SUPERFLEX. 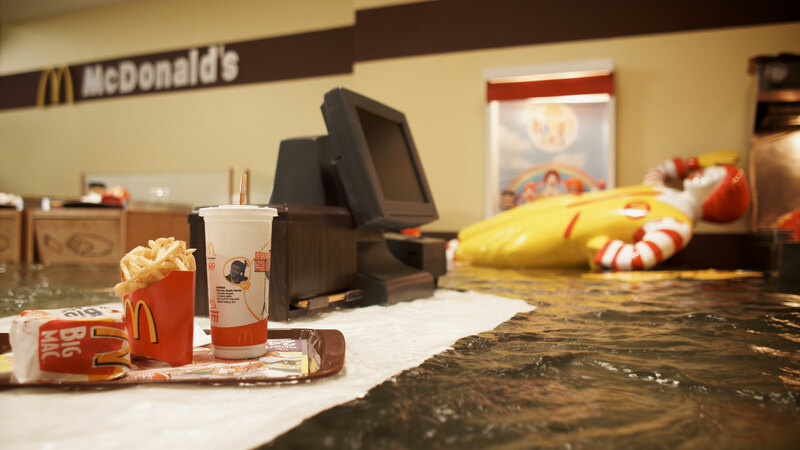 In the video, a life-size replica of the interior of a McDonald’s restaurant slowly floods with water until it is completely submerged and destroyed. Based in Denmark, Sweden, and Brazil, the members of SUPERFLEX consider their works "tools" for investigating systems of power, globalization, and the role of the artist in contemporary society. Flooded McDonald’s poses questions about consumer culture and the fast food industry while reveling in the pleasure of destroying a global capitalist icon. 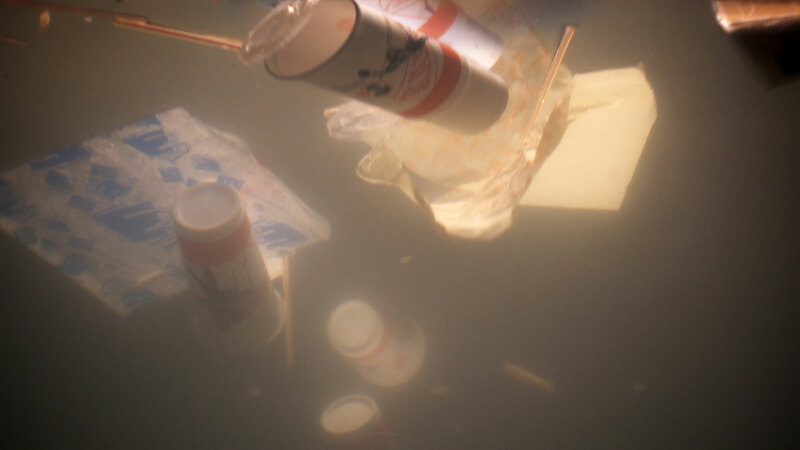 Hammer Contemporary Collection: SUPERFLEX, Flooded McDonald’s is organized by MacKenzie Stevens, curatorial assistant.